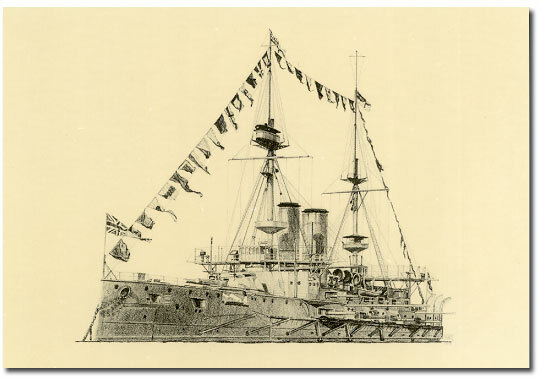 I have been drawing the ships of the Victorian and Edwardian Navy for twenty years for my personal pleasure and I am including some of these drawings on this site in the hope that others may find them of interest. The original drawings are all in pencil. Reducing the file size and therefore the download time has resulted in some loss of detail. A set of postcards featuring eight of my drawings is now available for £2.50, which includes postage anywhere in the world. 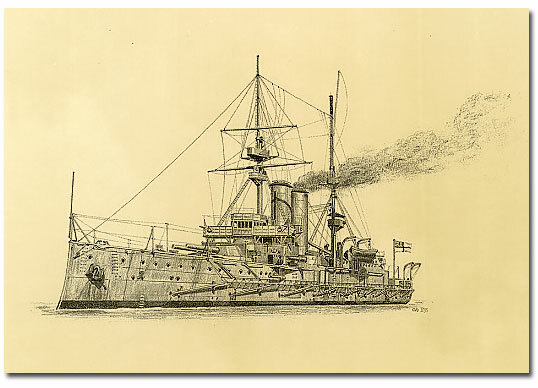 First class battleship, laid down at Chatham Dockyard in December 1893, launched December 1894 and completed December 1895. Magnificent was sold for breaking-up in 1921. 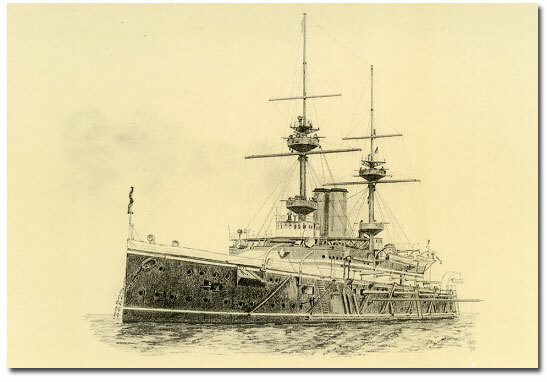 First class battleship, laid down at Fairfield's, Glasgow in June 1902, launched May 1903 and completed March 1905. Main armament of four 12-inch guns; speed 18.5 knots. Served throughout World War One and was sold for breaking up in 1921. First class armoured cruiser, laid down at Beardmores in Dalmuir in April 1901, launched September 1902, and completed December 1903. Berwick served throughout World War One and was sold for breaking up in 1920. 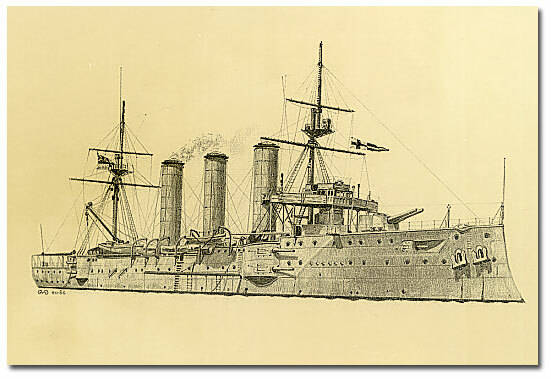 First class battleship, laid down at Portsmouth Dockyard in December 1898, launched September 1899 and completed June 1902. Main armament of four 12-inch guns; speed 18 knots. Served throughout World War One and was sold for breaking up in 1920. Pictured above at the Coronation Naval review of 1911. 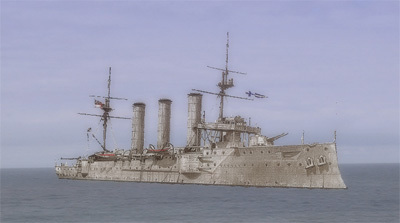 First class armoured cruiser, laid own at Chatham Dockyard in March 1902, launched April 1904 and completed August 1905. Main armament of four 7.5-inch guns; speed 22 knots. Devonshire served throughout World War One and was sold for breaking up in 1921. Steel corvette, completed 1878. Main armament, four 6-inch breech loading guns; speed 13 knots. Sold 1931. 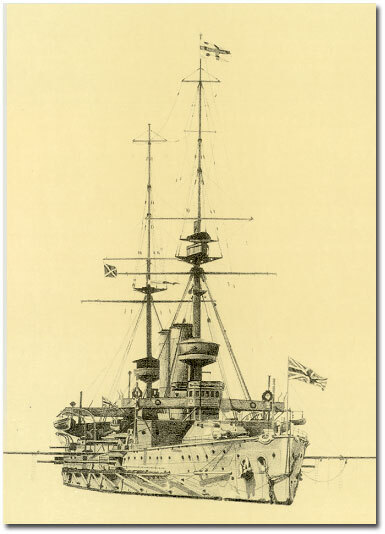 First class battleship, laid down at Thames Iron Works in July 1899, launched March 1901 and completed October 1903. Albemarle was sold for breaking-up in 1920. As the range of our activities is so diverse, we have a number of different websites. 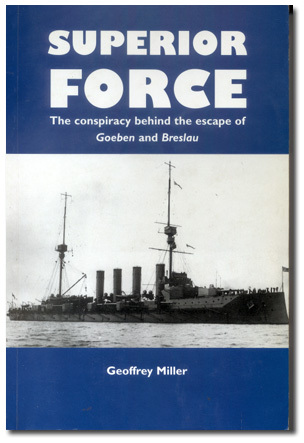 The site you are currently viewing is wholly devoted to the first of the three non-fiction books written by Geoffrey Miller, and deals specifically with the escape of the German ships Goeben and Breslau to the Dardanelles in August 1914. The main Flamborough Manor site focuses primarily on accommodation but has brief details of all our other activities. To allow for more information to be presented on these other activities, there are other self-contained web-sites. All our web-sites have a LINKS page in common, which allows for easy navigation between the various sites. To find out where you are, or to return to the main site, simply go to the LINKS page. All rights reserved. No part of this publication may be further reproduced by any means without the prior permission of the author, Geoffrey Miller, who has asserted his right in accordance with sections 77 and 78 of the Copyright, Designs and Patents Act, 1988 to be identified as the author of this work. Signed copies of SUPERIOR FORCE are still available, priced at £25.00 each plus postage. For more information, please go to the ORDERING page. These books provide a comprehensive account of British naval and diplomatic policy in the two decades prior to the Great War, focusing in particular on the escape of the German ships Goeben and Breslau [Superior Force], the origins of the Dardanelles Campaign [Straits], and the political and diplomatic imperatives behind the British decision to enter the war in August 1914 [The Millstone]. 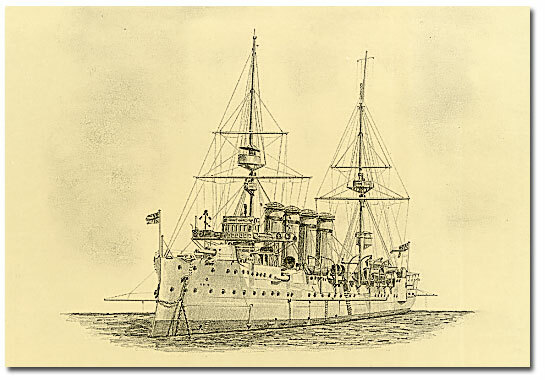 Each volume of the "Straits" trilogy is designed to stand on its own; together, however, they represent the fullest account yet published of the escape of Goeben and Breslau, the Royal Navy in the Mediterranean and British policy towards the Ottoman Empire in the period 1900-15. One may not always follow the author to the full extent of his interpretation, but at the very least he has demonstrated that [Admiral] Kerr would have had some difficult questions to answer … Miller is so skilful in analyzing the numerous errors on the British and French side that facilitated the escape of the Germans … this first volume on the Goeben episode will be indispensable for future naval historians. Can anything new be said about the German battle cruiser Goeben , the ship which brought Turkey into the Great War and changed the world? Yes it can — and this book says it. Geoffrey Miller draws together and evaluates previously published accounts in the light of more recently available evidence, which itself provides a great deal of new information. 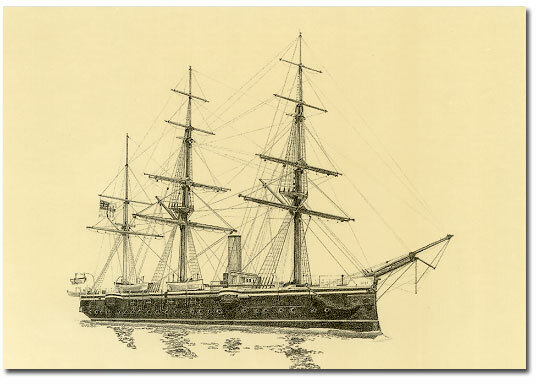 Particular emphasis is given to the part played by Greece and that country’s British naval C-in-C (Rear-Admiral Mark Kerr) … Author and publisher are to be congratulated on producing a worthy contribution, not just to naval history, but to world history … a large, readable and significant work. Besides the new information on the conspiracy, this is a comprehensive account of the whole affair, encompassing the political, diplomatic, and naval implications and providing a great deal of insight into the world-shattering events of World War I. Fine as Miller’s account is of the events at sea, the book’s meat lies in the allegation in the subtitle, which advances a contention so novel that revisionistic is too mild a term for it. This is that three highly-placed individuals in Athens connived, directly or indirectly, to abet the escape … Miller’s version of events seems confirmed by his highly impressive research in primary sources … a valuable contribution to Great War naval literature. …an impressive book, and Miller is to be commended for his diligence in piecing together occasionally fragmentary evidence into a convincing argument. Furthermore, he has provided much new grist for people interested in debating the "what might have beens" of the Dardanelles expedition. The story of the ‘escape’ of Goeben and Breslau in August 1914 from the pursuing Mediterranean Fleet and their arrival in Constantinople has been told many times. It exerts a fascination because, without these powerful reinforcements, Turkey might have remained neutral in the First World War. Russian trade through the Dardanelles might have continued and the fate of the Russian Empire and of the whole of the Middle East might have been different. Geoffrey Miller not only knows how to make the familiar story exciting, he also reminds his readers of aspects of the escape which other accounts sometimes overlook … Superior Force is a valuable and readable contribution to naval and diplomatic history. Superior Force is an important, informative, authoritative work of scholarship and an asset to any military history collection on the First World War. Please note that all rights are reserved and that no part of this publication may be further reproduced by any means without the prior permission of the author, Geoffrey Miller, who has asserted his right in accordance with sections 77 and 78 of the Copyright, Designs and Patents Act, 1988 to be identified as the author of this work.